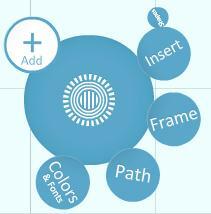 This guide provides examples, workshop handouts and other resources for getting started creating Prezi presentations. The quality of charts and pictures might be influenced by the conversion. A PDF file will be produced automatically. Before printing, you can delete any page in this file. If you use clickers in class, the audience response software TurningPoint Anywhere will work well with Prezi.